METROPOLITAN POLICE ANNOUNCE NEW GUIDELINES FOR FILMING ON THE MOVE. The purpose of this document is to provide clarity for productions and camera vehicle companies that plan to film on the move in London, as to when a police presence is and is not required during filming. It also provides the same guidelines to Borough Film Services for use when considering filming requests to film on the move on public roads within their respective boroughs. Marcel Hirscher, the world champion skier, had a very near miss when a drone filming his race fell out of the sky and narrowly missed him. The Austrian, who has won the overall World Cup title for the past four seasons, was competing in a slalom race in Madonna di Campiglio in Italy. Under the scheme, film production companies can claim tax relief of 25% payable towards the cost of production. Chancellor George Osborne said he hoped the move - first announced in the Budget - would help attract more blockbuster productions to the UK. But it needed to be passed by the EU under state-aid rules that control government support for companies. EU state-aid rules control the giving of a competitive advantage to companies through government support. Read more.. Workplace health is a significant public health issue. Each year more than a million working people in the UK experience a work-related illness. This leads to around 27 million lost working days costing the economy an estimated £13.4 billion. Read more..
As a cinematographer, Haskell Wexler has brought to life some Hollywood classics and brought home two Oscar statues. But Wexler has also had to put up with the same strenuous working conditions that film crews are often beholden to. Specifically, long working hours that cause sleep deprivation. So he did what any filmmaker might do – he made a movie about it. Film craft branches will launch their own rate cards unless industry agreement talks make progress. BECTU has written to the film and TV producers' association Pact, warning that from April 2015 its branches representing all the industry's various craft workers will publish recommended pay rates higher than those in a draft BECTU/Pact agreement. The move comes after Pact refused to include "going rates" in a new industry agreement which has been under discussion for three years. BECTU's previous Freelance Production Agreement contained only recommended minimum pay rates, which was considered unworkable as long as a decade ago.In practice, many craft disciplines have actual market rates for work on inward investnment films, instead of bargaining up from the minimum. A meeting of BECTU craft branches in London on 22 February called for talks on the new agreement to be suspended in response to Pact's refusal to include going rates in the text. "BECTU wants to reach a collective agreement with Pact for all feature films, however not on a minimum terms agreement, but one based on the going rates of pay and conditions of employment. "We also believe that an industry that is turning over hundreds of millions of pounds can, and should, pay all workers a living wage", continued Morrissey. The union has left the door open for talks to resume, provided Pact accepts that going rates should be in the new agreement, but if the employers refuse to budge, members will be sent new rate cards to be used from 1 April. At present, high-budget feature films, often funded by Hollywood, usually pay the going rate, but UK independents tend towards the minimum laid down in the BECTU/Pact agreement. The union has indicated it is willing to talk about high-budget and low-budget rates, but wants a commitment from the employers that the appropriate going rate will be paid everywhere. A large gap between the minimum pay rates in the previous industry agreement and the higher actual rates paid in many circumstances brought the Pact agreement into disrepute, and it was widely regarded as completely ineffective. Morrissey said: "The proposed arrangement for minimum rates is not acceptable to BECTU members, and is no longer appropriate for a collective agreement for the film industry". Unless Pact responds positively to the union's April ultimatum, the UK film industry could face months of turbulence as thousands of BECTU members demand a fair wage for a fair day's pay. David Cameron will call for business leaders to pass the benefits of economic growth and low oil prices to employees, saying Britain deserves a pay rise. In a speech at the British Chambers of Commerce annual conference today, Mr Cameron will say economic success should be reflected in the contents of workers' wallets. The Prime Minister will argue that business chiefs should share the proceeds of economic growth with their workers. "Economic success can't just be shown in the GDP figures or on the balance sheets of British businesses ... but in people's pay packets and bank accounts and lifestyles," he is expected to say. "The most recent figures show that wages are already growing faster than inflation and as the economy continues to grow it's important this continues and that everyone benefits. "Put simply - it's time Britain had a pay rise." He will tell the conference in Westminster that Britain is currently seeing "the strongest growth for seven years". "We are seeing falling oil prices, meaning businesses up and down the country have lower prices on their inputs," he will say. "Now that your costs are falling and it's cheaper to do business, I'm confident that more businesses will pass on that good economic news to their workers in rising pay cheques and higher earnings. 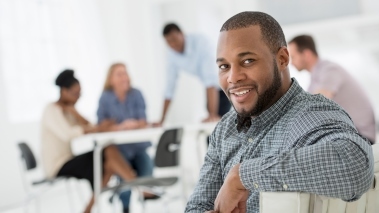 "That's good for your employees, it's good for you to have happier and more productive staff and frankly it's good for anyone who wants to make the argument for business." But the TUC's general secretary Frances O'Grady dismissed Mr Cameron's call as "no more than pre-election mood music". "Since David Cameron became Prime Minister, the average wage is worth £2,500 less a year, the worst fall in living standards since Queen Victoria was on the throne," she said. "Saying it would be nice if wages went up is no more than pre-election mood music. "If elected again his policies would do the opposite." Shadow chancellor Ed Balls will also address the conference, and is expected to attack the Conservatives for creating damaging uncertainty for Britain's businesses. He will also argue that with working people £1,600 a year worse off than in 2010, more needs to be done to ensure rising prosperity for all. "This is set to be the first time since the 1920s when working people are worse off at the end of the Parliament than they were at the beginning," Mr Balls will say. "So at a time when, even as our economy recovers, most people are not yet seeing the benefit in their wages and living standards, this is no time for complacency. "If we are to win the argument that Britain can succeed in an open global economy, we have to show that our economy can deliver rising prosperity for everyone who works hard and plays by the rules. "And that is not what people think is happening in our country at the moment." These hours can be a bit grinding for me, but as a producer I have the latitude to show up later or leave earlier. Actors can have brutal days, but they also usually get days off, as most shows are ensembles and they’re rarely in every scene. And let’s face it, producers and actors are highly compensated for their work. However, the average below-the-line worker (the budgetary classification for those who aren’t producers, directors, actors, or writers) has to be there every day and make a middle-class wage. And, from my perspective, they are also the people who whine the least about this extreme schedule. It has always been difficult for me to understand how so many in this business put up with such a punishing routine. So, as our work week wore on, I decided to interview some of the people around me about their feelings on the hours they work and how this regimen affects their lives. Nobody in production wants to go over twelve hours, if for no other reason than it is costly because of all the overtime. But it regularly happens when overly optimistic scheduling falls prey to bad luck, like cameras breaking, incompetence, and director egomania (though that is usually reserved for big-budget feature films). You may think, "Well, as producer, can't you just shorten the days?" but the studio sets the budget and the schedule, and you can only meet that with these long hours. I have no power to pull the plug on a day unless the studio tells me to do so, and that has happened maybe three times that I can remember in my career. Really, the only way to keep hours in check would be a firm work rule, unlike anything currently in place. In 2004, esteemed cinematographer and documentarian Haskell Wexler started an organization with the purpose of advocating for a "twelve and twelve rule": an inviolable twelve-hour maximum day with a mandated twelve-hour turnaround period for all industry workers. Wexler’s advocacy on this issue was catalyzed by the death in 1997 of cameraman Brent Hershman, who died when he fell asleep while driving home after a nineteen-hour day on the film Pleasantville. I think the unions haven’t been fighting this issue hard enough, probably because many of their members want the extra money that comes with super-long days. If some people want to kill themselves with overwork, that’s fine, but they shouldn’t be allowed to take out another person either on the set or the road as they do it. And the AMPTP should get behind the twelve-and-twelve rule as well, since little money is saved by overworking people and not giving them sufficient downtime to recover: Productivity lessens later in the day and the costs are significantly more after twelve hours. At hour sixteen, you’re paying people double, and sometimes more, and probably getting 75 percent effectiveness. There are many complex issues involved with managing the process of filmmaking, and there are usually two reasonable sides to those arguments. But when it comes to excessive hours on film sets, I don’t really see the side that advocates for unrestricted work time. It is time to change this: Twelve hours of work and a twelve-hour turnaround should be mandated and instituted immediately on all film and television productions, period. The Hybrid IV Camera Dolly at Chapman UK: Film Grip Equipment Hire UK from Chapman Leonard on Vimeo. The Certified Grips & Crane Techs Branch would like to welcome back into the membership five Specialist Libra Head Technicians who have been passed competent by "Camera Revolution Worldwide" and awarded their Certificates within their own specialist craft skills. This is a small highly skilled group of individuals who were originally in the Grips Branch before the division into "Certified & Uncertified" Branches by BECTU. and were then placed into the latter. As there was no way to enroll these select few onto the current Crane or Grips qualification without writing an individual qualification tailored to their skills, the Branch approached Camera Revolution to devise and construct a qualification unique to these specialist skills and test the technicians accordingly by assessment within the scope and responsibility of their job description around the specialist heads they were responsible for. This process has taken almost two years culminating in the award of a Certificate by the company to those who have the experience and expertise to operate & maintain the heads On-Set. Branch would like to thank Camera Revolution for their help, dedication and assistance in achieving this goal to enable the five technicians to be transferred back into the Certified Branch now they have completed their assessments by the company and awarded their individual certificates. A PDF IS DOWNLOADABLE, TO DOWNLOAD PLEASE CLICK HERE. The PACT negotiations have been going on for over 2 years. Negotiated on the basis and with the hope that conditions would improve and that at the least we would not lose money. It turns out that all the conditions we currently and reluctantly work under at present would be as bad and contractually imposed. The negotiating committee is a democratic body and therefore if one or two people disagree with the outcome of the negotiations, the draft agreement will still be put before the divisions. The concerns are many and various. Firstly how the idea of a week based on 40 hours and dailies based on 8 hours. This will result in dailies finishing early for 8 hours money £210 also turnaround days, prep, and all other ways to pay less. Equipment insurance or the lack of it. Overtime in 15 minute increments which will create many discussions with production, who will want to work for the £12 =. Add to this the 15 minute grace period at the end of any form of working day. Flying Economy! A maximum ceiling on overtime of £48 on a minimum terms agreement!? There are many more anomalies which if you read the proposal) should be brought up at the Certified Grip & Crane Technicians Branch meeting on the 6th of September. Seeing the opposition to this proposal it is time to put a rate card with terms and conditions on the Branch web site and Bectu web site. After branches have had their say the draft agreement will go before London and Regional Production divisions where it will be decided whether or not to put it to a ballot of acceptance or not. At this point with enough support it can be put down. Click here to download the proposal in PDF format. This June the Certified Grips & Crane Techs Branch hosted its 2nd Veterans Lunch, the accompanying photos were taken by Branch member Ed Lancaster, who also managed to eat something in between snapping the assembled diners. The photos give you a flavour of the great day had by one and all. Thank you Ed. Last year's lunch proved such a huge success that it was decided shortly after that we would stick our toe in the water a second time around and return to the Rucola restaurant in Uxbridge, (if they would have us), where we were looked after so well in 2013, it was also decided to hold the lunch on a Saturday not a Friday as last year. Toby Plaskitt our esteemed treasurer once again did all the leg work and although we had hoped to host the Luncheon around Easter time events and availability conspired against us and we had to postpone until late June. Nevertheless this year saw another successful day and we were pleased to welcome along with our veterans from last year John Payne, who accompanied our 1st Branch chairman Jimmy Dawes and 1st committee member Brian "Osie" Osborne, all ferried to and from the venue by Phil Murray who forfeited his quota of shant as designated driver in the family people carrier so that the aforementioned could give it plenty during and after lunch. This year saw some welcome faces who were unable to attend last years lunch, and we were pleased to have Branch members John Flemming, Kenny Atherfold and Ian Buckley (all certified) join us for the jolly, along with veterans Bill Geddes, Paul Brinkworth, Tony Cridlin and Teddy Tucker accompanied by wife Sheila, all of whom attended last years lunch. Of course the celebrations were tempered somewhat when Tony Rowland rose to say a few words and asked us all to raise a glass in remembrance to those who had shuffled off this mortal coil over the last twelve months, we remembered our dear friends Victor Selwyn Hammond and Ray Hall along with a dozen other friends and colleagues who had passed away. They will all be greatly missed, including Colin Manning who passed away shortly after this years luncheon and was planning to attend next year. Colin's death was another great sadness so soon after our get together. Apart from some sad reflection for those above, as is always fitting of the department in general, the turps continued to flow well into the afternoon and early evening, with stories, recollections and memories of all the past pouring out along with the shant. Dennis Fraser who was in America and couldn't attend this year had given a generous donation to put behind the bar after we had eaten, all of it was spent forthwith. We were finally ejected from the venue just before the evenings clientele arrived for dinner, and it can be said that all in all this years lunch was an even bigger success than lasts, We hope to repeat this next year and Branch would like to thank all those veterans and members who attended and those on the committee who helped Toby organise the event. Hopefully we will see even more members next year, when we hope to hold the veterans lunch once again just before or after Easter. Film production spend in the UK reached £1.1bn last year, an increase of 7.5% compared to 2012. The news was announced this morning by the BFI as part of their Statistical Yearbook 2014, proving the UK film industry is in a very healthy state indeed. The stats included cinema admissions, public investment in film and VoD, and a raft of other interesting key areas from the world of UK film. 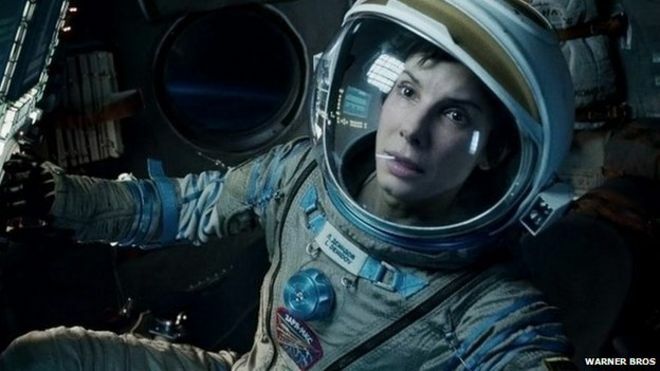 As well as the huge production spend on new films shooting in the UK (£680m of which was from inward investment productions; up 28%), UK films took $4.1bn at the global box office (an 11% share of the world market but down from 15% compared to 2012). The BBC has spent almost £30million on hotels for staff in the past three years including one room costing £633-a-night. Despite the corporation promising to cut costs, the bill is up by 32 per cent in the past year, with up front spending for the upcoming World Cup in Brazil and Commonwealth Games in Glasgow blamed. New figures have revealed that in 2011 the total paid out for hotel rooms stood at £8.4million, rising to £8.8million in 2012. But in 2013 it rose to £11.6million, taking the three year total to £28.8million. A breakdown of the most expensive rooms reveals that one room booked cost £633 for a night, but on several occasions in excess of £300 a room was spent. But the BBC has refused to name many of the hotels, who stayed in them and for how long. A BBC source, who asked not to be named, said today: 'It's fair to say that BBC staff go all over the world, sometimes at short notice, to cover events, but to pay more than £600-a-night for a hotel room is taking the mick. 'Most normal people would make do with a basic hotel, like a Premier Inn or Travelodge for a maximum of £100-a-night or so. Hotels stayed at include the trendy 84-bedroom Art Hotel in Amsterdam, the NH Doelen Hotel, again in Amsterdam, and the Premier Dante Best Western Hotel in Barcelona. 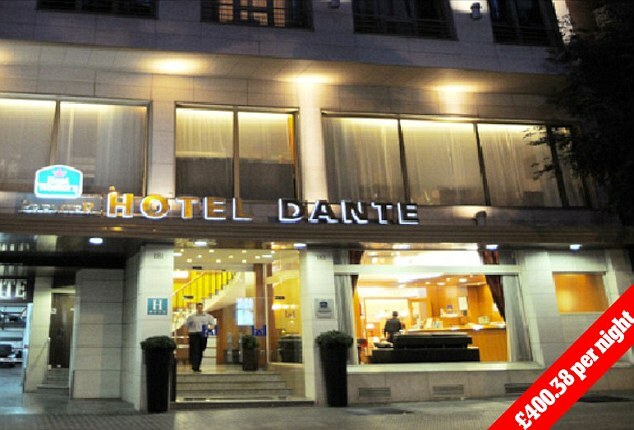 The 'room rate' price paid for the Premier Dante Best Western Hotel in Barcelona by the BBC in 2013 is listed as £400.38, despite the fact that you can book a room at the hotel for £116 today. 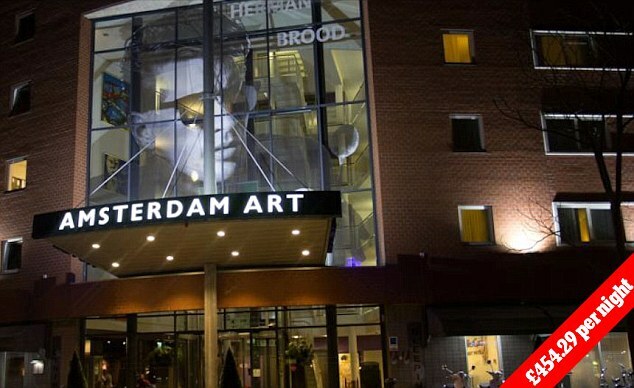 The 'room rate' paid for a stay at the Art Hotel in Amsterdam by the BBC in 2011 was £254.29, but again, if you were booking a room today it could cost you as little as £121-a-night. 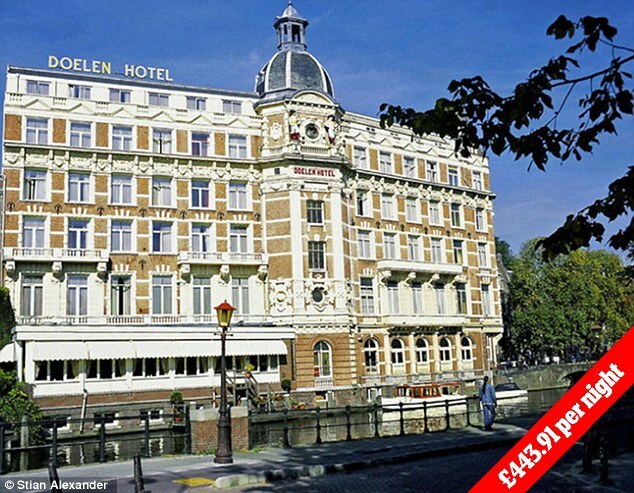 In 2012 the BBC paid a 'room rate' of £443.91 of the NH Doelen Hotel in Amsterdam, when you could book a room now for £113 for the night. And in all 30 'top prices' paid for hotels, just one was in the UK - booked in 2013 for £378-a-night. A spokesman for the BBC said: 'The BBC doesn't choose the location of major events around the world – like the World Cup or the Olympics which incur costs – but we do book in advance to save money'. He added that spend on hotels is subject to rigorous scrutiny and our policy states staff should stay in the most economical accommodation available. But admitted there are times, such as during major events, when hotel costs are higher than normal. Taking advantage of the lucrative UK TV tax credit, AMC is the latest U.S. network to head to London to make a pilot. Film London, the body that promotes shooting in the British capital, confirmed today that the AMC Studios-produced Knifeman will follow in the footsteps of Fox’s 24: Live Another Day which recently shot there. The six month 24 shoot generated about £37M worth of local production spend and helped up the city’s profile as a TV production center. Knifeman is inspired by the biography of John Hunter by Wendy Moore, The Knife Man: Blood, Body Snatching And The Birth Of Modern Surgery. It’s set in 18th Century London and centers on a charming, arrogant surgeon who robs graves and harvests organs. The pilot was written by Rolin Jones (Low Winter Sun) and developed by Jones and Ron Fitzgerald (Friday Night Lights), both of whom will serve as executive producers. Media Rights Capital (House Of Cards), Josh Donnen and Robert Zotnowski are also executive producers. Craig Zisk recently stepped in to direct after Brian Percival pulled out for personal reasons. The tax credit, which has also lured ABC pilot Galavant and Disney Channel’s multi-part movie Evermoor, is one of the factors which has helped to double filming in London. The film tax credit, which was recently expanded, has also lately helped to attract such features as The Man from U.N.C.L.E., Night At The Museum 3, Avengers: Age Of Ultron, Edge Of Tomorrow and Jupiter Ascending. Film London is celebrating its 10th anniversary and has committed a further £4M to promoting the city as a location destination. This will include over £2M in training, development and financing for up to 36 filmmaking teams over three years. Over £1.7M will be invested in London’s film culture and heritage over four years. Further, moving to establish London as the “games capital of the world” via the tax credit for games, Film London has also signed a memorandum of understanding with UK Interactive Entertainment to explore the feasibility of a range of activities including a new international trade strategy for games and a major B2B games event in the capital in 2015.